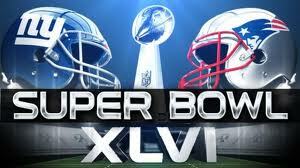 Super bowl Sunday 2012… What team will God help win? 1 Corinthians 9:25-27 Everyone who competes in the games goes into strict training. They do it to get a crown that will not last, but we do it to get a crown that will last forever. 26 Therefore I do not run like someone running aimlessly; I do not fight like a boxer beating the air. 27 No, I strike a blow to my body and make it my slave so that after I have preached to others, I myself will not be disqualified for the prize. Today is Sunday…the day we honor the Lord at our places of worship. But today is also…Super bowl Sunday. I live in New York so of course this is a big event for all New Yorkers…but me. Am I really into football?…nah! Is my husband into it?…1,000% . Is God into sports football? Well I don’t know for sure…I think in recent events with Tim Tebow… it may have sparked an interest…LOL! As noted in the above scriptures verses…sports has been around for a long time…that’s the way men are wired…competition driven! 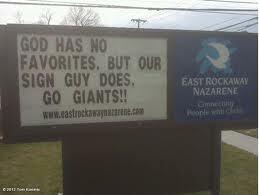 So the big question…Which side is God rooting for? I’m sure there are Christians on both sides. I asked God this morning and I feel He said to me that sometimes things have to just take their natural course. That makes sense to me. Sometime we want to blame things on the devil…but many times things just happen. 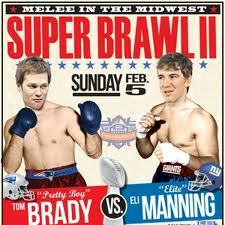 I believe this game will just have to happen. Yes…there will be many prayers going up to God for the game on both sides….maybe God should see which side has the least sinners? Or maybe which side prays the loudest or the most sincere. Nope! It’s just going to be who was the most skilled on February 5, 2012! That’s it folks! So sit back and enjoy the game and get your “holla” on! Like these mighty athletes…we too have been in training for a prize. This training helps us in this life and in the next. When we complete our task and purpose for the Lord He will reward us with an eternal life with Him and all the rewards…crowns of life… for our work that we trained to do for Him. Praise the Lord…Thank you Jesus! May the Holy Spirit continue to guide you in your instruction and training for God. Message for today: Have a great day and Go Giants and Patriots! God bless you both! May the best man win! I think competition is good and can be enjoyable. That said, I just pray God will keep these athletes safe while they’re “doing battle”! I was watching a news program with some of the Giants and Patriots wives and they said they are nervous with every sack their husbands get. So yes…we do need to pray for safety. Thanks for the reminder…and go teams! I agree with you…I’m praying for our country. I love that sign… I couldn’t agree more. It’s a game and I think it has to do with skill and training. And also looks.. which is why I am rooting for the Patriots despite being a native NY’er. I was actually on the train Friday coming home from work wondering if the Giants were a NY team or NJ. Don’t they practice in NJ? Anyway it’s OBVIOUS that I don’t follow this sport. I’m in this today to support my husband in his passion. I do know a tiny bit about football…like when you make a base hit…..Oh I mean touch down LOL! You have a good Sunday too!